SCALE MANAGER is the ultimate water descaler providing maintenance free hard water solutions and limescale prevention; Scale Manager will remove existing limescale without the need for chemicals, salts, or alteration to plumbing and provide limescale prevention in the future. The Scale Manager effect does not alter the chemical composition, but achieves all of the advantages of a limescale free system. As the treated water flows through your system the water now being more soluble will reverse the limescale forming process, disintegrating the build-up already present, and offer future limescale prevention. Our electronic descalers have the latest digital technology and robust powder coated metal enclosures, ensuring sustainability for today’s environment. 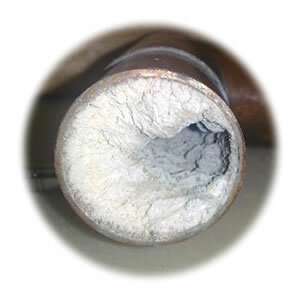 Limescale build-up can increase your water heating costs dramatically. 6mm of limescale can mean your water heating costs could be reduced by 35% with a ScaleManager system installed. You will see from the graph, limescale build-up can increase your energy costs. Energy efficiency is now a key design consideration. Clients demand products with lower power consumption, running costs, longer life and a smaller carbon footprint. The success in solving specific industrial limescale issues will come about through working with clients to understand individual applications and propose effective solutions tailored to a clients needs. 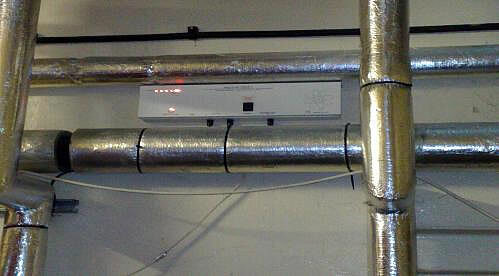 Our electronic conditioning and descaling systems offer value for money and great service. 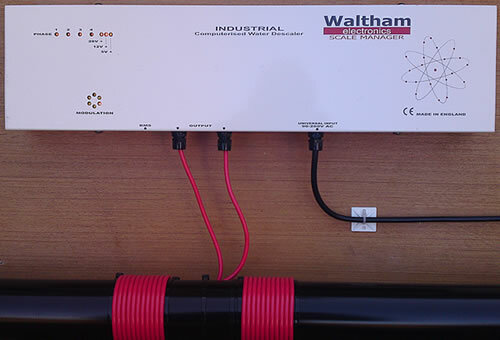 Start reducing your energy costs now with Waltham Electronics. The amount of damage caused by hard water is enormous. You will be aware that limescale in hard water areas constitutes a major problem, working to reduce the efficiency of water systems and associated plant whilst simultaneously increasing maintenance issues and its budgetary outlay. Our electronic descalers will address these issues and keep systems free of scale. There is more detail within this web site on how scale wastes energy and causes premature replacement of water fed appliances. The Scale Manager is a proven electronic device, developed to effectively remove and prevent scale build‑up in hard water systems, without using expensive water softeners or damaging chemicals etc. The complex Scale Manager signal is applied simply by wrapping a signal cable around the pipe to be treated. It requires no plumbing, is maintenance free and can be either fitted to protect an individual appliance, or installed to protect even the most complex water system against scale. We are happy to quote from drawings or visit site where necessary. If you require any further information please do not hesitate to contact us. Hard water in simple terms is caused by rainwater passing through chalk and/or limestone where it collects deposits of mineral salts. The principal salt contributing to hard water is calcium bicarbonate (CaHCo3). The calcium bicarbonate is in solution form, but precipitates out into insoluble, infinitesimally small particles - these calcium carbonate particles (CaCo3) are attracted to each other and adhere to the wall of pipes etc, creating limescale deposits. To get a mental picture of this process, simply bring to mind the limescale stalagmites and stalactites of the Cheddar Caves. They have taken 1000s of years to evolve - it is hard to comprehend these wonders of nature have developed from invisible particles! 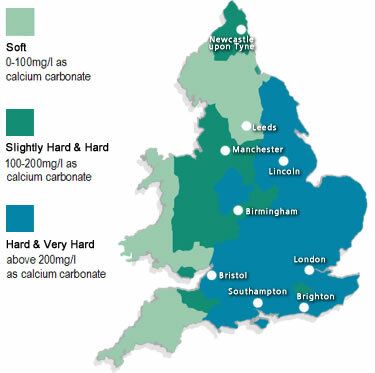 Calcium carbonate accounts for in excess 90% and up to 98% of all limescale. The higher the temperature, the more limescale will form. Therefore limescale build-up will be greater in hot water systems. Scale Manager produces modulating frequency waveforms many times a second. The energy induced in the fluid causes the premature precipitation of the calcium. This energy also causes a change in the crystal structure of the calcium and other ions in the fluid, changing their size and shape. This increases the solubility of the fluid and over time allows the unsaturated fluid to dissolve existing scale from the system, which remain in suspension until discharged to drain. This process can also have a beneficial effect on many industrial filtration systems, including saving chemicals on effluent plants. For more information on this subject please contact us. Eastern and Southern England are identified as particular hotspots for hard to very hard water, closely followed by Central England. Awareness of the perils of hard water grows, an increasing number of industrial and commercial users are looking for cost effective ways of reducing the problems and wasted energy caused by heating or cooling with hard water. Scale Manager Industrial & Commercial descalers are designed with the latest microprocessors and digital technology, with the power necessary to apply the correct treatment to pipes from 28mm to 500mm diameter. Removing the need for chemical descalers, the early replacement of capital equipment and pipe work due to limescale build up. The technologies employed in Scale Managers output are Radio Frequencies. The very powerful microprocessor delivers an unparalleled 13000 varying frequency pulses per second. It is this action that neutralises the calcium carbonate particles ability to adhere and form limescale. Contact us to discuss your problem areas and causes, as treating the main cold supply does not always give optimum results. This is due to the treatment being negated somewhat by turbulence, time and temperature. Centrifugal pumps, spraying actions and heat flux all need to be considered when identifying the most cost effective viable solutions. We may need to attend your site to survey with the system engineer and identify the best treatment for your particular configuration. We can also work from drawings remotely for advice on best solutions and cost. We will advise from drawings on new projects and refurbishments with the best position to apply treatment and submit tender quotations for architects and contractors. 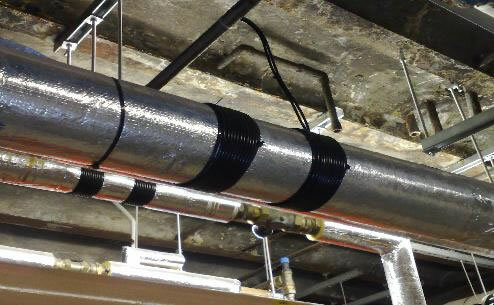 During installations there is no interruption to your services or production as pipe work does not have to be cut or removed. Note: Lagging does not need to be removed. The power source should be fuse protected with a 5 Amp Fuse. Supply Voltage can be between 90 volts and 250 volts. The power LED will illuminate pulsing for 7 seconds whilst carrying out a self-diagnostic routine. The rotating signal LED will then illuminate showing de-scaling is in progress and will cycle indicating the signal scanning is correct. SCALE MANAGER does not remove calcium from the water. Electronic treatment does not affect the potability or natural mineral content of the water as there is nothing in contact with the water. Therefore, in certain applications there will be evidence of its existence. In fact, any process in hard water areas that use water for heating or cooling would save energy and maintenance costs by using our electronic descalers to remove existing limescale and prevent limescale build up in new systems. The use of chlorine is considerably reduced. Pool maintenance is cut down by almost half. No more scum deposits around the pool edge. Limescale eradicated from swimming pool plant. The system will have paid for itself in less than two years. 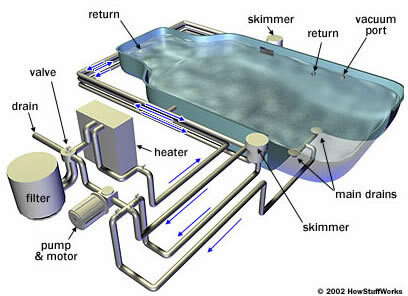 By installing a Scale Manager Industrial on your swimming pool you will change the bi-carbonate in the water and remove scale deposits thus reducing the need for pH balancing chemicals. Scale deposits are a breeding ground for bacteria and so eliminating limescale by using a Scale Manager Industrial system will help your swimming pool be a clean healthy environment. Chlorine is added to swimming pools to kill bacteria and the more bacteria present increases the amount of chlorine needed to kill it. Bacteria growth invariably occurs on areas in contact with stagnant water such as parts of pumps and filters and within hard scale formations. The formation of hard scale is reduced by installing a Scale Manager Industrial system, then one of the areas of bacteria growth can be minimised ultimately reducing the chlorine demand. With the reduced demand for chlorine due to reduced dead bacteria, filters will remain cleaner for longer hence requiring less backwashing. This will result in massive savings in heating, chemicals and water. © 2011 Waltham Electronics Ltd All Rights Reserved.